The New Seven Wonders of the World is a project that attempts to revive the Seven Wonders of the Ancient World concept with a list of modern wonders. The origin of the idea of seven wonders of the world dates back to Herodotus (484 BC - 425 BC) and Callimachus (305 BC - 240 BC), who made lists which included the Great Pyramid of Giza, Hanging Gardens of Babylon, Statue of Zeus at Olympia, Temple of Artemis at Ephesus, Mausoleum of Maussollos at Halicarnassus, Colossus of Rhodes and Lighthouse of Alexandria. Only the Great Pyramid of Giza is still standing. The other six were destroyed by earthquake, fire or other reasons. 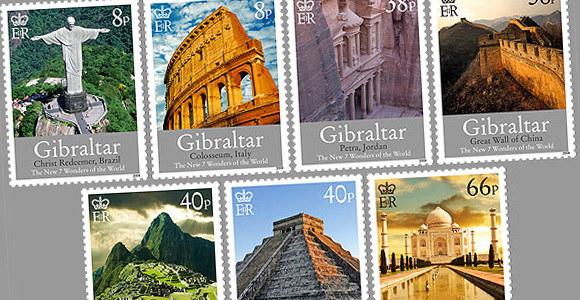 The 7 New Wonders are the Colosseum (Italy); Christ Redeemer statue (Brazil); the Great Wall of China; Petra (Jordan); Chichen Itza (Mexico); Machu Picchu (Peru) and the Taj Mahal in India.